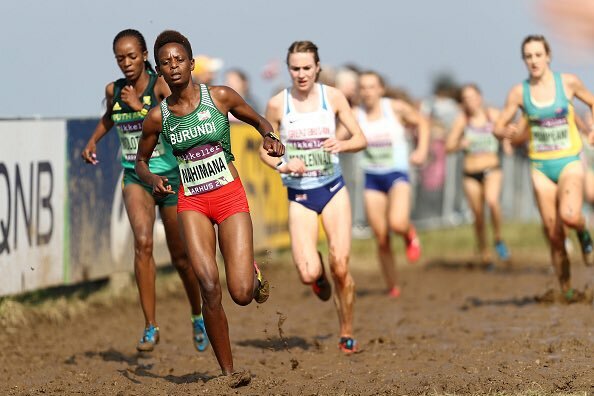 Mhairi Maclennan delivered arguably the finest cross country performance of her career at the IAAF World Cross in Denmark to help GB and NI Senior Women to fourth place in the team race. 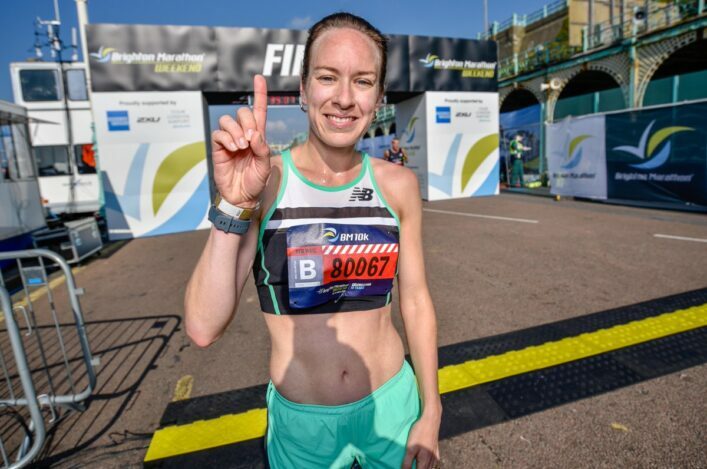 The Edinburgh Uni Hare and Hounds and Inverness Harriers athlete came home in 32nd place – as the second British female – and in eighth place in terms of the Europeans involved in the race in Aarhus. Maclennan has had a fine cross country season in 2019, including a whole series of podium finishes, and in a British context she even managed to improve on her third place at the Inter-Counties which won her selection for the World Cross. 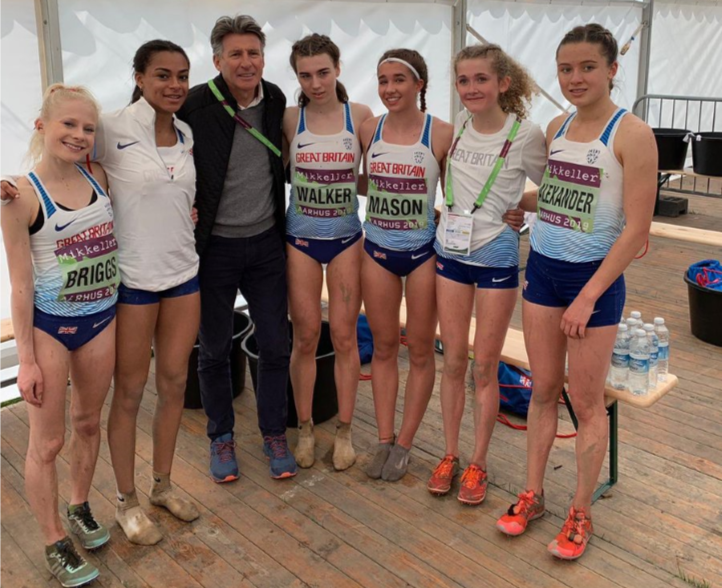 Edinburgh AC athlete Eloise Walker, a former training partner in the capital with Mhairi, took 51st place in the Junior Women’s race with the British team placed seventh. We made Eloise 10th place in terms of the Europeans in that race. But it was a tough afternoon for Luke Traynor as the Giffnock North AC athlete struggled from early on and duly finished in 107th place in the Senior Men’s race. ‘It’s one of those races where I don’t know many of my competitors and you’ve just got to keep picking people off – because every vest counts,’ said Mhairi. ‘I really liked the hilly course; even though you feel like you are dying, you just keep driving and setting to focus of overtaking people on every lap. ‘It’s amazing to know that on any given day any one of us could have crossed the line as the first Brit. We are all really equally matched and I think that is exciting for cross country running in particular, but also for the track season. Mhairi’s lap placing reveals her progress as she went 57th, 41st, 37th, 35th and 32nd with the Scot now coached by Helen Clitheroe, ahead of a pending move to England’s North-West. With Kate Avery at 30th place, Mhairi went beyond Jenny Nesbitt in the latter stage as the Welsh athlete took 34th to help the British women be placed fourth – the best European outfit on the day. 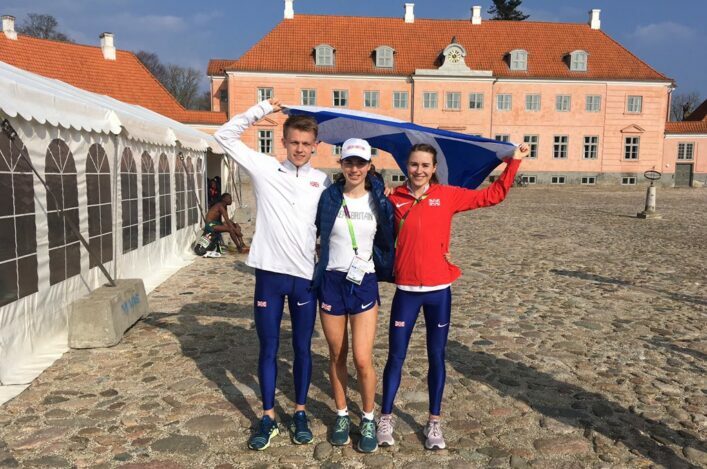 Walker was the fifth of the six GB and NI team on the day with her 51st place exactly halfway in the Junior Women’s field that started in Denmark. It was difficult for Traynor throughout as, in terms of the British team, he mirrored his sixth place in the Inter-Counties trial – despite feeling he went into the race in good shape. ‘To state the obvious, it was really tough,’ said the Giffnock North AC athlete. ‘I really don’t know what went wrong with me. I didn’t feel like I had it after the first steep hill. I just felt rubbish after the first lap. I’m in really good shape right now, so I don’t know, I’ll have to talk it through with my coach (Robert Hawkins). ‘I don’t know if we’ve trained too hard, but I felt good this week. But from the gun I just had nothing which is so unusual for me. It’s the hardest race I’ve ever done, but I guess I’ll just have to move on from this.